From left to right: Brakspear assistant brewer Richard Ashplant, marketing manager Emma Sweet and Bell Street Brewery head brewer Malcolm Mayo. Credit: Brakspear. UK-based brewer and pub operator Brakspear has partnered with Toast Ale to brew Henley on Toast, a new 4.1% ale that is made from waste bread. The new Henley on Toast will be brewed at Brakspear’s Bell Street Brewery in Henley by head brewer Malcolm Mayo using waste bread; pale, cara and crystal malts; and a portion of oats. The beverage will also feature sliced oranges and Bramling Cross and Amarillo hops, as well as Cascade, which will be added as a late hop. Brakspear’s CEO Tom Davies said: “This is the first collaboration brew for the Bell Street Brewery and we’re delighted with the result, a deliciously tasty ale brewed from waste bread that would otherwise have been thrown away, with a donation towards ending food waste. 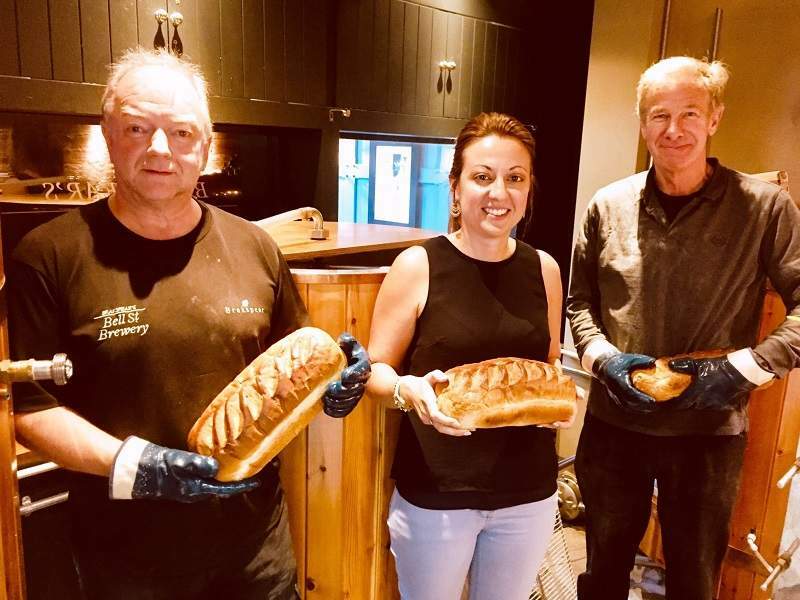 “We’re confident our customers will be more than happy to order a pint or two of Henley on Toast in their local, knowing that it supports a worthy cause. Henley on Toast will be sold in pubs during Cask Ale Week between 20 September and 30 September. It will also be available in Brakspear pubs in and around Henley.